ATARS APPROVED TO EXECUTE ITS SECOND YEAR OF LOW-RATE INITIAL PRODUCTION 10 Dec 1997 -- Navy will procure 6 additional ATARS suites under a firm fixed price delivery order to The Boeing Company. The Navy will also procure the first 4 production Data Link Pod Systems. 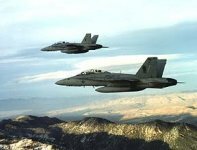 BOEING GETS LRIP 2 CONTRACT FOR F/A-18 ATARS 04 March 1998 -- Boeing is being awarded a contract to produce six Advanced Tactical Airborne Reconnaissance Systems (ATARS) and four Data Link Pods in fiscal year 1998. NAVY APPROVED LRIP3 FOR ATARS Hornet Hyperlink 9.29.99 -- The U.S. Navy's chief acquisition officer has approved low rate initial production three (LRIP3) of the Advanced Tactical Air Reconnaissance System (ATARS) for the Marine Corps F/A-18 Hornet fleet. 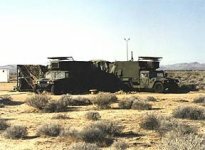 ATARS successfully completes 'Alert 5' testing The Weaponeer 29 April 1999 -- The Advanced Tactical Airborne Reconnaissance System (ATARS) in development at the F/A-18 Advanced Weapons Laboratory is successfully progressing towards operational evaluation and eventual fleet release later this year. MARINES EMPLOY ADVANCED TACTICAL AIRBORNE RECONNAISSANCE SYSTEM IN OPERATION ALLIED FORCE MARINE CORPS NEWS (Jun 10, 1999) - Due to identified shortfalls in the combatant commander's ability to meet tactical reconnaissance requirements, the Marine Corps released ATARS from testing to provide an early operational capability to Marine All-Weather Fighter Attack Squadron 332, which deployed to Hungary during the last week of May with two ATARS-capable aircraft. ATARS EQUIPPED HORNET RETURNS FROM KOSOVO WITH WD TEAM by NAWCWD PAO - 10 September 1999 -- The call came on May 3, 1999. The Marines wanted the F/A-18D at China Lake equipped with Advanced Tactical Airborne Reconnaissance System (ATARS) sent to Hungary. 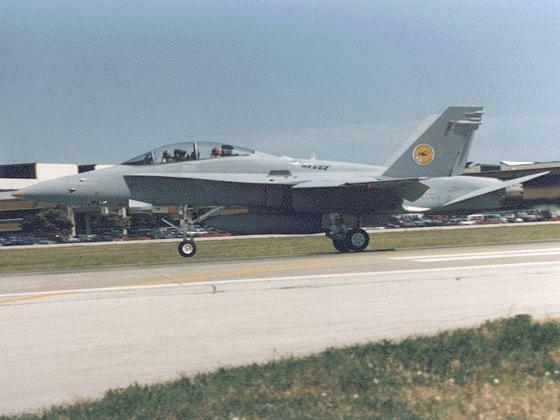 ATARS-equipped Hornets return from Kosovo Tester October 7, 1999 - Marines wanted the F/A-18D at China Lake equipped with the Advanced Tactical Airborne Reconnaissance System (ATARS) sent to Hungary. ADVANCED TACTICAL AIRBORNE RECONNAISSANCE SYSTEM (ATARS) SUCCESSFULLY DATA LINKS FIELD-READY IMAGERY 16 June, 2000 - Images data-linked from an Advanced Tactical Airborne Reconnaissance System (ATARS) equipped F/A-18D during recent testing at the Naval Air Warfare Center Weapons Division China Lake Land Ranges were clear and precise. 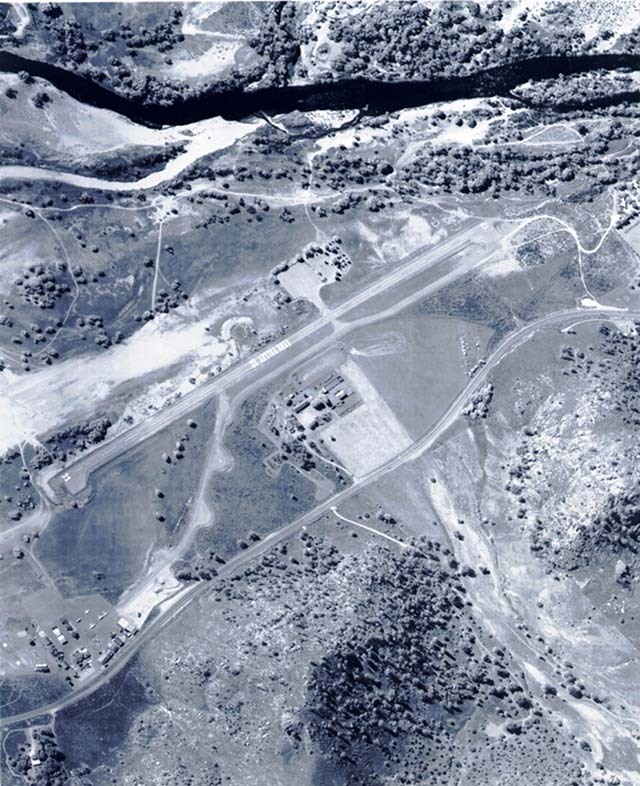 ATARS images were acquired in flight and subsequently data-linked to the Marine Corps Tactical Exploitation Group (TEG) . The Advanced Tactical Reconnaissance Airborne System (ATARS) is designed to provide U.S. Marine Corps F/A-18D aircraft the capability to fulfill the airborne tactical reconnaissance role left open upon the retirement of the RF-4. It will provide near real time high resolution digital imagery in day, night, or under-the-weather conditions. The F/A-18 Tactical Reconnaissance System is a real-time/near real-time imaging system for image acquisition, data storage, and data link. It consists of the Advanced Tactical Air Reconnaissance System (ATARS) with infrared and visible light sensors, two digital tape recorders, and a Reconnaissance Management System (RMS); an interface with the APG-73 Radar Upgrade (Phase II) which records synthetic aperture radar (SAR) imagery; and a digital data link mounted in a centerline pod. ATARS fits in the nose of any post-Lot 14 F/A-18D in place of the nose gun, with a small datalink pod mounted on the centerline station. The digital data link will transmit imagery and auxiliary data to any Common Imaging Ground/Surface Station (CIG/SS) compatible system including the Joint Services Imagery Processing System (JSIPS) or Marine Tactical Exploitation Group (TEG) based ashore and Navy JSIPS (JSIPS-N) aboard ship. The program is in the engineering and manufacturing development (E&MD) phase, and initiated low-rate initial production one (LRIP 1) in the first quarter fiscal year 1997 (FY-97). LRIP 2 is planned for the first quarter FY-98. Full Rate Production approval is planned for the first quarter FY-99. A total of 31 ATARS, 24 data link pods, and 7 squadron ground stations are planned. The Marine Corps' initial operational capability is Fall 1998. Originally the USAF was the lead service for ATARS, with plans to equip F-16C aircraft with an external ATARS pod. However, unit costs kept increasing and total production quantities decreased, and after years of delays and cost overruns, the Air Force and Martin Marietta agreed in June of 1993 to cease work on ATARS. Substantial savings could be achieved by breaking out the common data link from the prime contractor and purchasing it directly from the manufacturer. Additional savings could also be realized if the data link was purchased through a single procurement office for ATARS and other DoD programs. The ATARS Test and Evaluation Master Plan (TEMP) did not cover the entire scope of the testing program. As a result, decisionmakers may not have had adequate developmental and operational test performance information prior to the lowÄrate initial production decision and the full-rate production milestone reviews for the various platforms. The program office had not prepared complete life-cycle cost estimates and was not reporting the total program cost in the Defense Acquisition Executive Summaries (DAES) and the Selected Acquisition Reports (SAR). As a result, DoD managers and Congress may not have had adequate program cost knowledge for use in making informed program decisions. The program office was not jointly staffed which has contributed to specification, contractual, testing and cost estimating problems. The Government did not have a license to make multiple use of the ATARS' operating system software. Unless a multiple use license is obtained, the Government may infringe on the software manufacturer's data rights if more than 12 prototype units are produced or by accepting ATARS units delivered under subsequent contracts. In November 1993, the Navy received Congressional direction to resume development of ATARS, and in January 1994 the Marine Corps assumed management of ATARS as lead service. On November 30, 1995, McDonnell Douglas Corporation, McDonnell Douglas Aerospace, St. Louis, was awarded a contract with a ceiling value of $69,000,000 for the development and integration of the Advanced Tactical Reconnaissance Airborne System (ATARS) into the F/A-18 aircraft. Work was to be performed in Syosset, N.Y. (70 percent), and St. Louis (30 percent), and was expected to be completed by June 1998. The Naval Air Systems Command, Washington, D.C., is the contracting activity. On 10 December 1996 Mr. John W. Douglass, Assistant Secretary of the Navy for Research, Development and Acquisition (ASN(RD&A)) gave approval for ATARS to begin low rate initial production (LRIP). With this approval, the Navy will procure four ATARS suites under a firm fixed price (FFP) delivery order to McDonnell Douglas Aerospace (MDA). These units will be used to perform production verification testing, follow-on developmental testing, operational assessment, and, upon successful completion of operational testing, will be provided to Fleet Marine Force squadrons for use on F/A-18D aircraft. The negotiated FFP delivery order will also provide for procurement of the engineering and production non-recurring effort; production tests and related data; integrated logistics support; the packaging, handling, storage and transportability program and data; personnel training and training equipment and data; support equipment and data; technical manuals and associated data; spare and repair parts; and associated aircraft configuration equipment. The total estimated dollar value of this requirement is $60M. 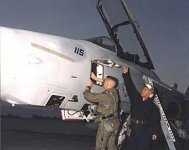 And on 13 February 1997 McDonnell Douglas received a $51.3M firm-fixed-price, delivery order for three advance tactical airborne reconnaissance systems, one advance tactical airborne reconnaissance subsystem, two radar upgrade/reconnaissance conversion kits, 12 radar upgrade/reconnaissance modification kits, production verification flight test support, integrated logistics support, training and technical publications for the F/A-18 aircraft. In March 1998, the second Low Rate Initial Production (LRIP) contract was awarded to produce six Advanced Tactical Airborne Reconnaissance Systems (ATARS) and four Data Link Pods in fiscal year 1998. The contract also included aircraft modification kit parts, ancillary equipment, logistics support, contractor support and training. This contract is the first to procure the data link pods. In September 1999 the Navy's chief acquisition officer approved low rate initial production three (LRIP3) for the Marine Corps F/A-18 Hornet fleet. In May 1999, the F/A-18 Advanced Weapons Laboratory (AWL) at China Lake was requested by MAG 31 to install the Advanced Tactical Reconnaissance Airborne System (ATARS) on a Weapons Division F/A-18 and transfer the aircraft to Operation Allied Force. The Division was also asked to supply additional ATARS equipment, instructors, and a training syllabus to train MAG-31 crews in the Kosovo theater. With strong support from Boeing and Lockheed-Martin, a 10-person military and civilian team from the AWL was in-theater to support the ATARS deployment within 72 hours of the arrival of the MAG 31 combat forces. Marines strongly praised the system's combat success. Excerpt from a message from the CO of VFMA(AW)-332: "On the combat success of ATARS, in a word - indispensable. We currently have two systems installedÖ.two aircraft were airborne almost continuously. We have well over 100 hours on the two systems without a single failure of ATARSÖ.With the exception of JSOW and JDAM, that were just delivered, every type of air-to-ground ordnance has been dropped or fired off the ATARS aircraft. 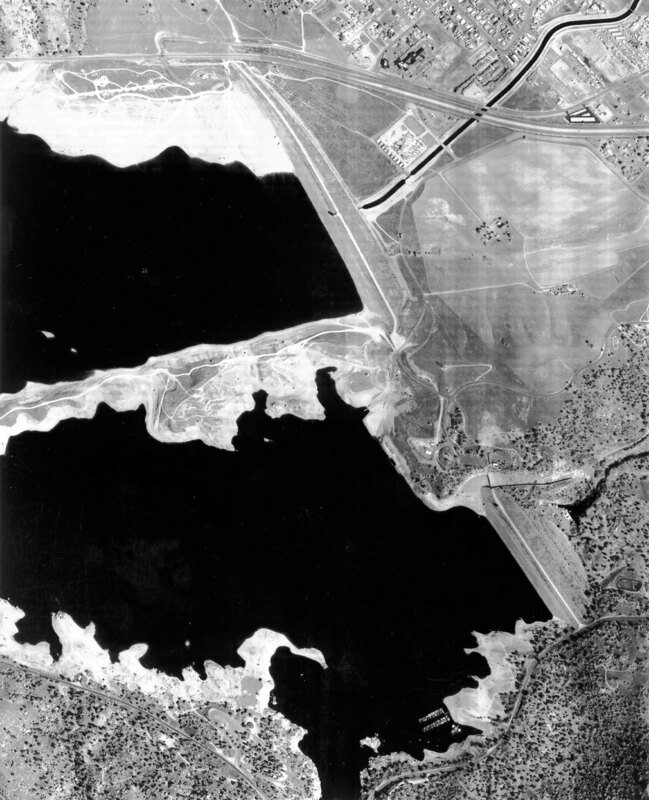 The aircraft have been SAM tested and the RWR gear worked to the same degree as other strike aircraft without ATARS." Quote. "On behalf of the Marines in this operation, thank you for your hard work on a very, very difficult and under-funded program. You have delivered a system that made a significant impact on this squadron's success in combat. I am not overstating the case that your efforts saved lives and greatly enhanced our targeting success with very difficult target sets in Belgrade and Novi Sad." The NAWCWD F/A-18 Advanced Weapons Laboratory supported a MAG 31 request to install ATARS on a NAWCWD DT asset F/A-18 (A/C 115) and transfer it to the Operation Allied Force theater. Three F/A-18 AWL military and seven civilians reported to the theater of operations to support deployment. 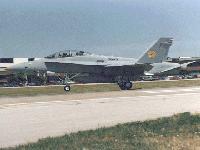 NAWCWD was requested to have aircraft and support assets on the ramp at Beaufort not later than 8 May 1999, and have all personnel in theater not later than 72 hours after the arrival of MAG-31 combat forces. On 16 March 2000 ATARS demonstrated the capability to provide imagery of a target more than 170 miles distant in less than 55 minutes from receipt of tasking. The tasking came via a radio call from an imagery analyst. The ATARS flight crew was waiting in a '5 minute Alert posture when the tasking was received. The crew flew the aircraft 170 miles to the target and gathered radar, electro-optical, and infrared imagery. The flight lasted a mere 36 minutes. The two digital tapes were immediately removed and processed. The Marine imagery analyst had his requested imagery in less than one hour from initial request. The Advanced Tactical Airborne Reconnaissance System is a significant advance for Marine Aviation. 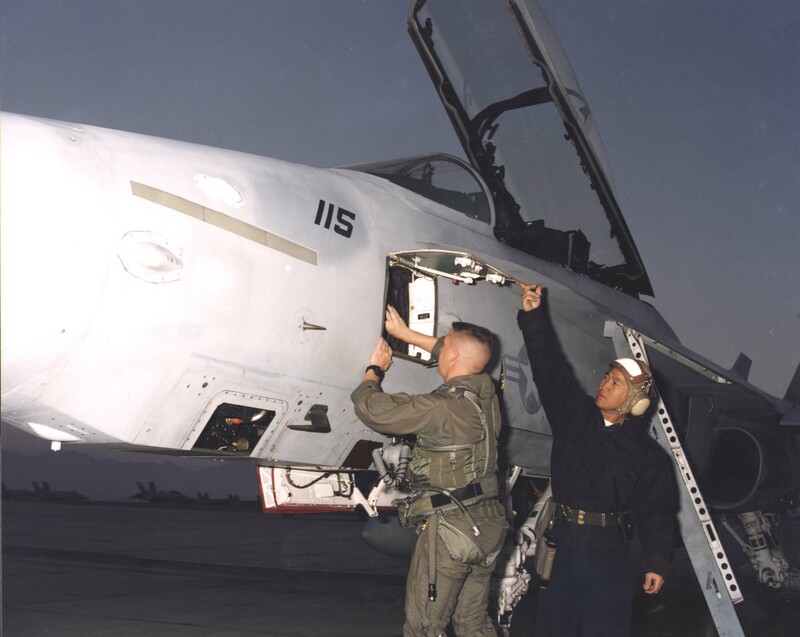 It returns to the Marine Corps an essential, survivable, reconnaissance asset that has been absent since the retirement of the RF-4B Phantom in 1990.